So while we’ve been waiting for the 5D Mk III and the we’ve been playing with the C300 and the Scarlet by Red, another player has been making a lot of noise in the background! 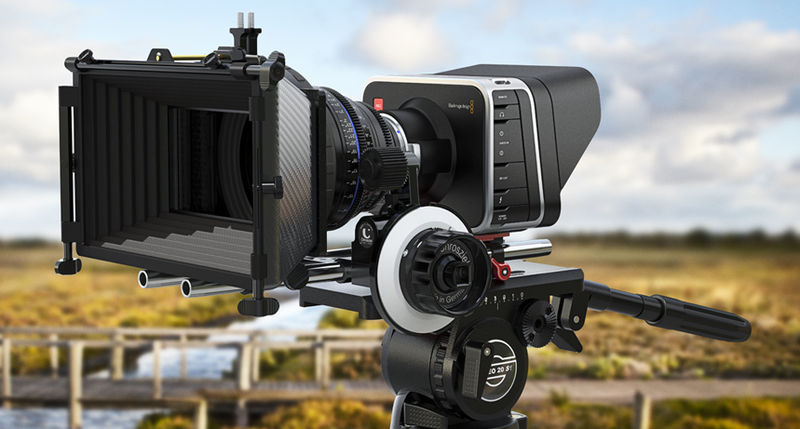 A company named Black Magic Designs have come up with a unit that places a lot of very high end features in a very cost effective package for ALL filmmakers alike. Now this camera impressed me with the stats out of the gate and for such a reasonable price point. Not to say anything but it’s almost what I expected from the C300 and was hoping for some in the 5D Mk III but that’s another story! 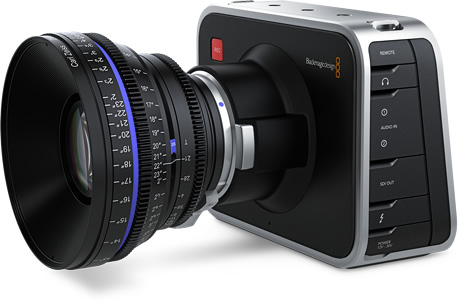 “The Blackmagic Cinema Camera features an amazing 2.5K image sensor with a wide 13 stops of dynamic range for a true digital film camera. 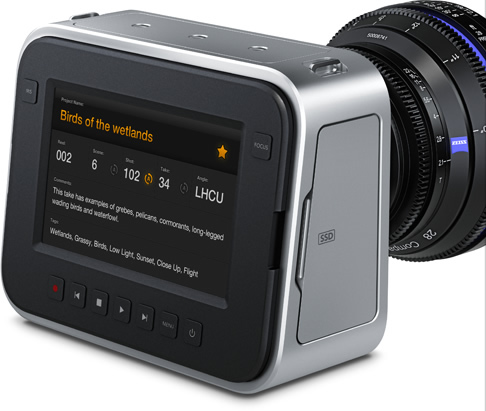 You get a built-in SSD recorder, popular open standard uncompressed RAW and compressed file formats, compatibility with quality EF and ZE mount lenses, LCD touchscreen monitoring plus metadata entry, all packed into an exciting hand held design!” This was taken from the site itself. From what I can tell the industry is a buzz with this new entry into the film world. It’s compatible with EF lenses and since I’m with Canon already that helps me out. Although I was planning to get the PL set when I get my Scarlet. So the only thing I see so far is the lack of more FPS, it goes to 30, there goes my dream of super slow mo’ EFX without using a plugin…but again I digress. For the money this camera, based on the specs, should produce some very stunning images. We’ll wait to see the explosion of tests that will undoubtedly start to trickle in as some more people get their hands on this unit. For more information please see the Blackmagic Designs website for all the juicy tidbits! The Industry…where is it going? There are not too many times that I’m NOT inspired to write or be creative. But then there are also times when the creativity keeps flowing like a river with no end in site, and we as artists love when we are able to stay creative. I was asked by a few friends and peers of what I thought about state of the industry and what music has become today. Hmmmm Great question but I don’t think there is an easy answer. I believe things evolve as they need to because of the “times” we are in. Example you say? Ok, well how about back in the war times when all the men went to war and the women were left to tend the homes and finally lend helping hand by gathering metals for the factories to make more artillery and so on and what spawned from that, an age of music that catered to keeping the masses upbeat in the face of what was going on in the war. Later you had the “hippie”s who didn’t want to fight but make love and be easy. Music emerged from that time as well out of necessity. And times were good, as far as creativity goes. You had good music and even those that rose above the clammer to become what we call today ICONS and or legends such as Kurt Cobain, Jimi Hendrix, just to name a couple. Unfortunately that is the same now. We’ve gotten to an age where the technology is allowing more of us to be creative and gives us the ability to put it out to the world via the internet. Now that being said, it doesn’t mean that everything that is out there is good! I think we’ve lost ourselves in the technology. There is now a fusion if you will of human and machine, cyborg musicians/artists. There is a cookie cutter standard now in the business, I sometimes don’t know to whom I’m listening to on the radio because everything and everyone sounds the same. Where is the art in that? As an artist myself, I remember going to a concert to watch Bone Thugs In Harmony and at that time I never really listend to them at all. After a few mediocre opening acts they come out and I must say, they gave a SHOW. Something for me to hold in my memory for as long as I live. it was incredible and although I may not have understood everything their fast talking rhythms spewed out, I enjoyed their show. For me, it’s not good enough to have a good recording any more. It’s time to get back to the roots of where this started. I think a lot of the artists of today have lost touch with that. You listen to a record then hear them live and your are like WTBH. But we’ve gotten so use to that that when people go flat or even sharp it’s totally unacceptable, machines are making things sound so PERFECT, we’ve lost the human element. It’s perfect PITCH or nothing. I had a good friend of mine send me this film regarding the “Industry” and not just music but visual arts too. I didn’t know what to expect but I ended up watching the whole thing. I suggest you do the same and draw your own conclusions about the industry. I strive for what I strive for because of what I know I want to be and see. In order to see what you want to see you have to create that yourself. You can’t expect that others are going to do it for you. Affirmations of being the change you want to see comes to mind and I am committing myself to live that! We are in a great time where a lot of playing fields are now leveled because of technology. That does not mean that EVERYONE should be an artist, but every one CAN be creative in his or her way. Find what your passion is and go forward with it. Passion knows no end, it doesn’t know what it is to be lazy or complacent. I hope you get from this what I got from it, which is a renewed faith in what I do and what I pursue to accomplish. I want to feel like I’ve added something to this art in me just being ME! (if you click on the link to watch it please support the filmmakers by rating this film on their IMDB site. I’ll post it here as well) And as always support independent artists!